It was just after midnight and I had just put on my pajamas. The next thing I see is my husband with his jacket on grabbing one of our fire extinguishers. Then I looked outside to see the yard on the corner across the street with streaks of fire like in the movie "Back to the Future" and a few people, the people who accidentally caused it, running around seemingly not knowing what to do. So, I ran to change back into clothes, put on my heavy hunter's rubber boots, and my warm camo jacket. 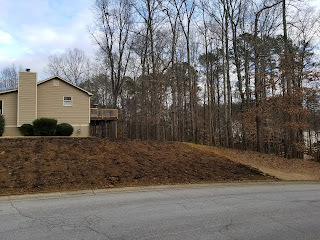 By the time I got outside, the streaks of fire had disappeared and it was just a total burn with embers even going over the road into our yard. I ran to get the hose from our backyard as I knew it would reach all our front yard and even the other side of the street, but there was water frozen in the hose so it would not work. At that point, the only method was trying to stomp it out. The homeowner had gotten some shovels in hopes to save his home. 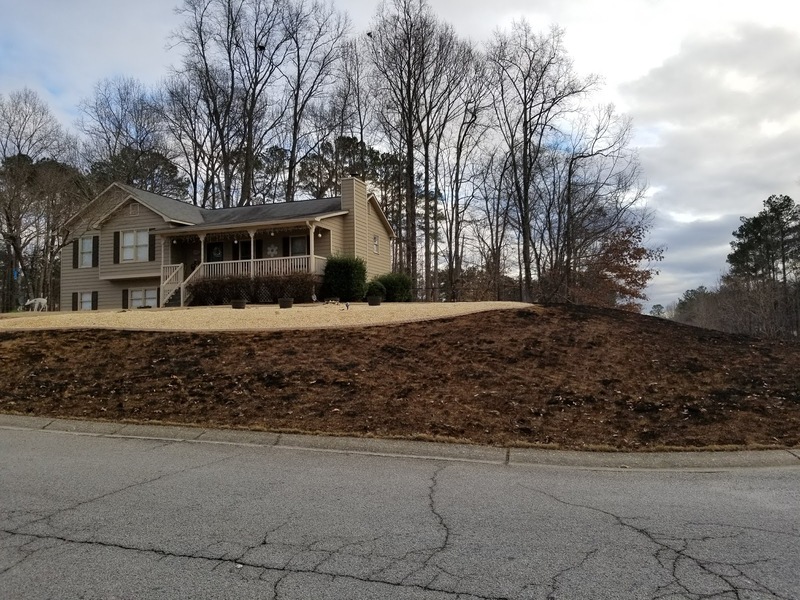 I know how fire can move, but I personally had never seen a fire on a mowed lawn have flames shoot up four feet and advance fifteen feet with one gust of wind! And the same people who caused it were trying to get in front of it too, but I warned them not to do it that way. Crazy just runs rabid with these people! The only thing that saved the house was that there was a huge island that the homeowner had filled with rock in the front. It caused the fire to split into two sections. I was on the road side and my husband was on the driveway side. I could not even see him at times because of the flames. We all worked at keeping the fire from catching the bushes near the house, but it had advanced to the backyard on my side. Just ten more feet, just one more gust of wind, and the flames would be into leaves, brush, and then up trees. Should a fire get up in height like that, the whole neighborhood to the south and west would have been in jeopardy. I was praying under my breath and that one more gust of wind did not happen, the fire just began to fizzle out on my side. On the other side the flames were nearing cars in the driveway, but that is when the fire department came and it took them all of 30 seconds to douse it all. My husband and I did not wait around, but started home to shower and wash our smoky clothes as we coughed out what had gotten into our lungs. The next door neighbor man, who never talks to us, made a point to thank us with the kind of scary sincerity that comes from knowing what could have happened if we had not been there to help. His wife said over and over that there was a newborn baby in that house and I assured her that we would have had enough time to get the baby out safely. After our showers, we were up for several hours. Adrenalin! Our stories were different because we were in different areas with different people. Our dog saw the first streak and my husband watched as two more shot toward the house across the street. He realized that it probably was a Roman candle that had fallen over, more likely had been blown over. He thought they could get it, but realized before he had a chance to finish that thought that the wind was a big factor. When he arrived with the fire extinguishers, they all thought it would put the fire out, but my husband knew and told them it would only slow it down as they were halogen extinguishers that are for inside fires because they remove oxygen in the air. They really would not do much outside, but when you are desperate it is worth trying. One of the neighbors with the best yard now has a completely black front yard. It is eerily striking. We had not seen our next door neighbors for over a week since it happened. I feel for them, I really do. One stupid mistake can cause property and people to be in danger. I am sure they wish they could hide forever right now. I am hoping that none of them became ill because of it. Our daughter missed it all as she was staying overnight at a friend's house and I was thankful for that because I did not have to worry about her jumping in to help and possibly getting hurt. No one was hurt, thankfully. My Lord, just thank you that no one was hurt and the damage was minimal. Fires are scary. We've fought a few I could have done without. There was the one in an open paddock we had permission from the fire dept to light ~ because of snakes & kids. Not a good mix. When we lit it there was no wind & it was a mild temperate day.. Within half an hour the wind had picked up, flames were 20' plus in the air & the fire was jumping the road. We rushed round like maniacs with wet hessian sacks [no hose to reach] to put it out. Thankfully the paddock was pretty bare & we managed to get it under control but they move so fast from a few sparks to a raging inferno. Then there was the one a neighbour lit in bushland. As a local volunteer he should certainly have known better because we had 80' flames & live embers putting holes in all my clean washing. I was rope-able but he was a real idiot. There have been others, as you know, but fire is a fact of life in Australia, especially in summer when everything is so hot & dry. So glad you are all safe & no real damage done. I just want to move. Out of the eightish families (and I write that because two were one partner moved out and new one moved in twice within a year) that have lived next door in the last twenty years we have owned our house, only two of them were normal friendly neighbors. The rest were either friendly but weird or unfriendly and weirder.